Lauren Cantrell McCaghren has been named senior director of alumni programs and annual giving at Samford University, effective July 21. She will have responsibility for the overall coordination of Samford's alumni and annual giving programs. "We are pleased that Lauren is bringing her experience back to Samford," said W. Randy Pittman, Samford's vice president for advancement. "She is well-known and respected by so many at Samford, understands the Samford mission and culture, and will be an immediately positive addition to our team." Most recently McCaghren has been director of alumni relations for Catholic University's Columbus School of Law, Washington, D.C. Previously she was associate director of alumni relations for George Washington University School of Law and associate director of alumni relations for Samford's Cumberland School of Law. McCaghren is a 2007 Samford graduate and later earned a master's degree in education administration from the University of Alabama, Tuscaloosa. Her husband, Chris, is assistant to the president for external programs at Samford. "I am thrilled to come home to Samford, and I am honored to serve my fellow alumni and our university in this capacity," McCaghren said. "I look forward to working with the advancement team and with alumni leadership to create new and meaningful opportunities for Samford graduates to engage in the life of the university." 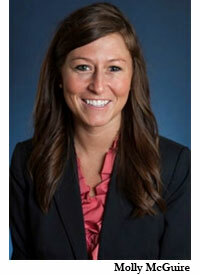 Pittman also announced that Molly McGuire will serve as director of alumni programs. 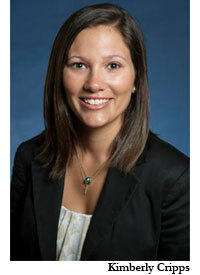 A 2010 Samford graduate, she had been serving as interim director since November. Kimberly Cripps will continue as director of annual giving, a position she has held since 2011.